Omega is anxious to alert its customers and collectors to the theft of a sample collection of its watches in Paris. The collection was destined for special display at the Omega flagship store in Paris and included one unique and highly identifiable piece. The watches to be exhibited at Paris are part of a series of exhibitions of the latest Omega models presented at the 2003 World Watch and Jewellery Show in Basel. Similar collections will be displayed at the Omega stores in Cannes, Milan, Zurich, Bangkok and Hong Kong. One particular model is unique and easily identifiable. The Speedmaster Professional Moon Phase limited edition is one of only 57 pieces. 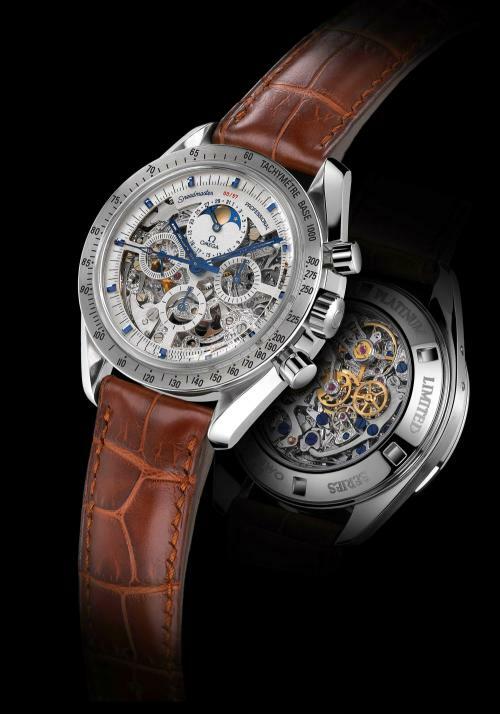 The stolen model bears the number 00/57 in red on the dial above the moon phase indicator in the 12 o’clock position. This particular model is valued at around 50,000 Euros.